Rarely visited by outsiders, the ranchers of Sierra de la Giganta in Baja California Sur live much as their ancestors have for the past two centuries. They raise goats and cattle and grow a magnificent variety of fruits, vegetables, and flowers in one of the driest places on the continent. 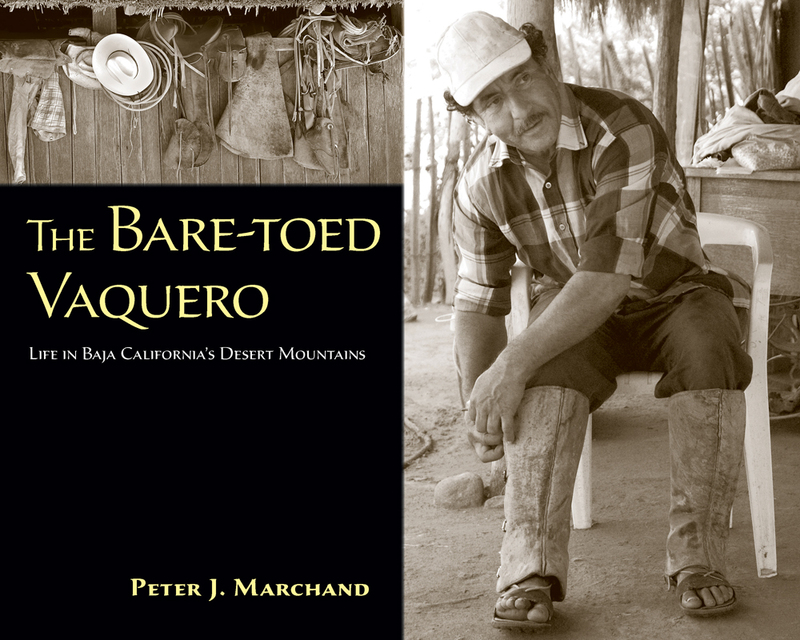 The men, women, and children depicted in this book have never known the luxury of municipal water or electricity on their ranches. Yet, as Marchand’s photographs show, they are remarkably self-sufficient in their use of technologies that would be considered archaic by most standards today. Some ranches now have solar panels, generators, a light bulb or two, a radio or TV, and, most recently, a cell phone charger. But water is supplied either by gravity or a gasoline-powered pump (though windmills still turn at some ranches), cooking is most often by wood fire, machaca is ground on a stone metate or pounded on a stump, and coffee is ground in a hand-cranked mill. Plowing is still done mostly with mules, and planting, harvesting, and milking are all done by hand. In this book a gifted photojournalist introduces us to individual ranchers and their families and describes their traditional practices as they move into the twenty-first century. Marchand’s photographs and text are both informative and intimate. His introduction to this little-known corner of Mexico will delight travelers and scholars alike. Peter J. Marchand is a field biologist and photographer whose interests in plant and animal adaptation extend to human cultures living in extreme environments. He has worked in forest, tundra, and desert ecosystems throughout North America and currently resides in Colorado.